Our instructors are all different people, with individual teaching styles, but we share one common goal. We know what it takes to teach individuals safe gun handling and storage along with the fundamentals of shooting , competitive and defensive shooting. The +Power package core mission is responsible gun ownership through preparedness, practice, pro-activity and purpose. We might be a startup with a new name, but the +P Instruction team began teaching together and creating our curriculum for several years. We are continuing a long history of firearms training support to the Hampton Roads community. We all differ in demeanor, interests, and firearms disciplines. However, we are all united in our passion for providing the knowledge to our students that will allow them to become responsible firearms owners and achieve their marksmanship goals. A New State of Being. Kim’s safety-first philosophy is smart, non-threatening and tactical. It’s also fun and consistent with her interest as a runner, volunteer at many nonprofit organizations as well as her local church. she is a wife, mother of 4 adult children J and master of clean eating and cooking. Her firearms manifesto: vigilance is awareness in action. As the founder of +P, Kim is on a mission to dissolve the victim mentality many of us have developed. Her classes are designed to replace fear and worry with awareness and preparedness. 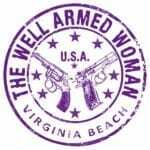 For the widow who is ready to pick up her first firearm. 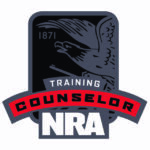 or anyone interested in firearms for recreation, self-defense or as a competitive sport, Kim’s students develop relevant safety and protective skills that reflect her advanced training, and travel to access the industry’s rapidly changing intel. She works with each student in steps, at their own pace so they can focus on their goals and rewrite their story. With a female student focus, Kim has trained over 3500 women as women have moved to the forefront of the firearms industry in the purchasing of and their interest in shooting sports training. Kim continues to enrich her various skills by entrusting her training to other professionals in the field as well as reputable organizations. These include The National Rifle Association, Gunsite Academy, TWAW, Academi and other training facilities. Kim has been featured in numerous articles related to shooting sports as well as local news and NRATV. Phil is as patient as he is fierce. He was first exposed to firearms as a teenager and became an NRA Certified Instructor in 2011. His experience as an instructor combined with his personal skills translate to Phil’s ability to effectively teach the art of gun handling along with the fundamentals of shooting to a range of students. While Phil is experienced in training at all levels he finds instructing new shooters especially rewarding. He is known for his infectious personality and generous spirit which makes it easy for others to learn and enjoy the process along the way. Phil also enjoys volunteering at his local church with the security ministry. As well as setting aside time for his favorite hobbies including listening to music, maintaining his yard, and doing general household chores. Having a sense of pride in automobile ownership, he also enjoys cleaning and detailing his cars. Mike was introduced to his first firearm when he got his BB gun at 10 years old. He has since then developed skills in various firearms disciplines with a special interest in AR’s and Competitive Shooting. 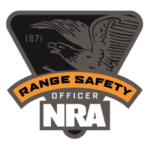 Mike is in his eighth year as an NRA instructor. In his spare time, Mike enjoys spending quality time with his family and dog. Mike makes sure to find time for his hobbies of hunting, ammo reloading, and his own competitive shooting. Kevin’s first exposure to firearms was at age 6! At that time Kevin had a mentor from Big Brothers Big Sisters of America that had an interest in hunting so he naturally followed along and had his first opportunity to shoot a gun. It’s been a hobby since then. He achieved his NRA Instructors Certification in 2011 and has enjoyed teaching an array of skill levels. But shares “I like to be the person who shares the excitement of the hitting the X for the first time”. Students enjoy Kevin’s witty demeanor and amazing patience while under his instruction. Kevin enjoys rifle but has a special affection for shooting competitive handgun sporting events. He makes sure there is always time to dedicate to his volunteering work for the City of Virginia Beach and is CERT (Virginia Beach Community Emergency Response Team) certified. His training in assisting with natural other disasters shows his compassion and interest for helping others. Kevin has served with the security ministry at his local church since 2015.